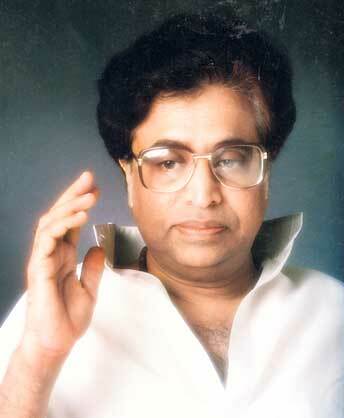 Pandit Hridaynath Mangeshkar is an Indian director, composer, and singer from Maharashtra. In the film and music industry, he is known as “Balasaheb”. He is the only brother of Lata Mangeshkar and Asha Bhonsle, the two music icons. Pandit Hridaynath Mangeshkar’s family belongs to the Gomantak Maratha Samaj. Their last name was “Hardikar” until his father, Deenanath, changed it to “Mangeshkar”. After his four sisters namely Lata Mangeshkar, Asha Bhosle, Meena Khadikar and Usha Mangeshkar, Hridaynath was the only and youngest brother. Pandit Hridaynath Mangeshkar married Bharati Malvankar Mangeshkar, the daughter of Damuanna Malvankar, a famous Marathi comedian. 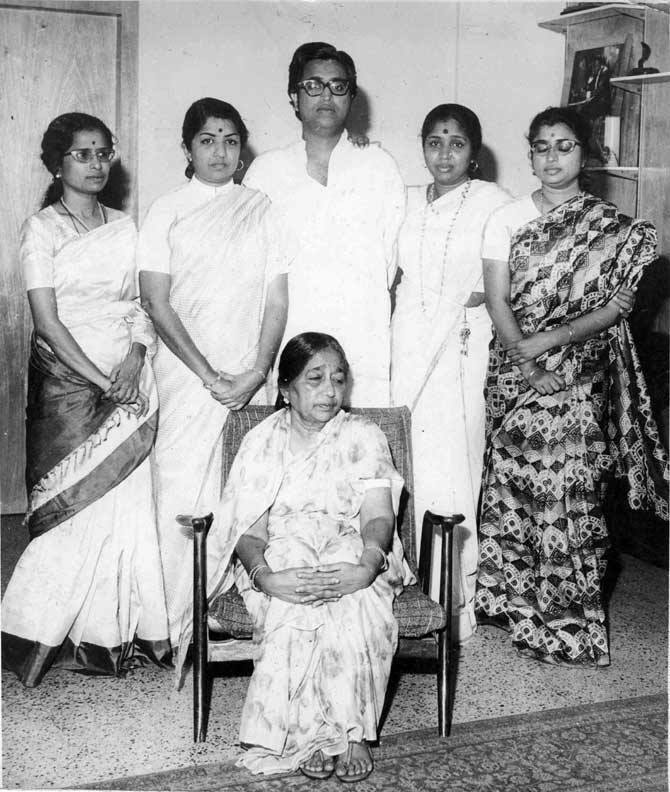 Pandit Hridaynath Mangeshkar and Bharati Malvankar Mangeshkar have two sons namely Aadinath and Vaijnath, and a daughter called Radha. Hridaynath Mangeshkar trained Radha, who accompanies him on stage. In 2009, Radha launched the album “Naav Maaza Shaami”. Hridaynath commenced his music career with the Marathi film “Akash Ganga” in 1955. He has composed several songs for Marathi films including “Sansar” “Jait Re Jait” “Umbartha” (1982) and “Nivdung” He also contributed to Hindi films including “Lekin” “Maya Memsaab”, “Lal Salaam”, “Mashaal”, “Dhanwan” and many more. Pandit Hridayanath composed several folk songs. His most famous composition includes “Koli Geets” (fishermen songs), reflecting the traditional rhythms of the Konkon’s fishermen. He composed music for Doordarshan musical drama Phoolwanti too. Hridaynath selected beautiful poems for his compositions that were always full of emotions. He used works of well-known Marathi poets like Shanta Shelake and Suresh Bhat. His composed songs always have complex meters. Hence, there is a requirement for many talented singers who have different ranges and depths. His composition includes Veer Savarkar‘s poem and Saagara Pran Talamalala. In 1982, Hridayanath Mangeshkar produced the Dnyaneshwar Mauli album (1982) featuring compositions from Jñāneśvar by Sant Dnyaneshwar, the most gifted poet in Marathi literature. This set the standard for modern devotional music in Marathi. Hridaynath was the first Indian composer to release two complete albums of the poet-saint Sant Meerabai. The albums were titled “Chala Vahi Des” and “Meera Bhajans”. Currently, he composed and released an album titled “Meera Soor Kabeera” that contains the works of Meerabai, Kabir, and Surdas. In addition, Hridaynath produced an album on Ghazals of Mirza Ghalib, titled “Ghalib” that was sung by Lata Mangeshkar. Also, he composed several songs for Asha Bhosle. Hridaynath at one point was a student of Ustad Amir Khan. Yet, he places his sister Lata above his guru. Hridaynath won the National film award for Best Music Direction (1991) for the movie “Lekin” songs by Gulzar. He received the Lata Mangeshkar Award instituted by the State of Maharashtra (2006-07). Also, he was awarded seven Maharashtra State Awards for Best Vocalist and Music Director/Composer. Pandit Bhimsen Joshi and Pandit Jasraj awarded him the title – “Pandit” for the people of Maharashtra. The Shankaracharya awarded him the title “Bhaav Gandharva”. The Government of India awarded him the honorable Padma Shri (2009). Pandit Hridayanath Mangeshkar continued his journey as music composer, director and songwriter from 1955-2009. He left his music career to join the Shiv Sena, the political party in Maharashtra. He met Bal Thackeray at his residence in Matoshree. Hridayanath mentioned that he would formally become a part of the organization. He was involved in the 13th October 2009 Assembly elections in Maharashtra. As a veteran music composer, Pandit Hridaynath keeps a very low profile.